For whatever reason, maybe it's my base theme (conform plus), but there wasn't an option for LinkedIn. So I added one! It's a relatively easy add and minimal coding and editing. Figured I'd help someone else out too. 8. 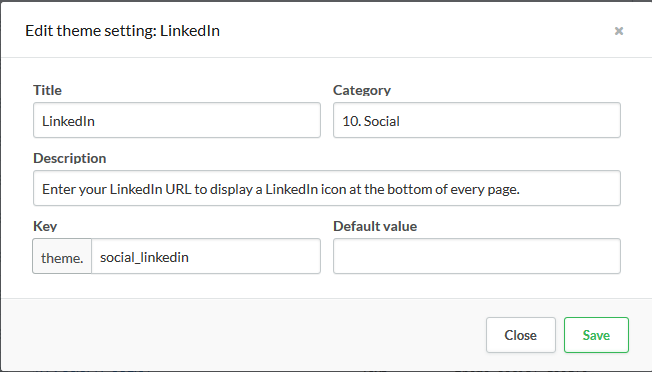 Now navigate to Theme Editor>Theme Settings and scroll down to where the social media icons are. 10. Navigate to Theme Editor>Theme Editor>style.css and search 'instagram' it should bring you to where all the other social media is.